This offer is for two headstock loops. We do not sell them singly. 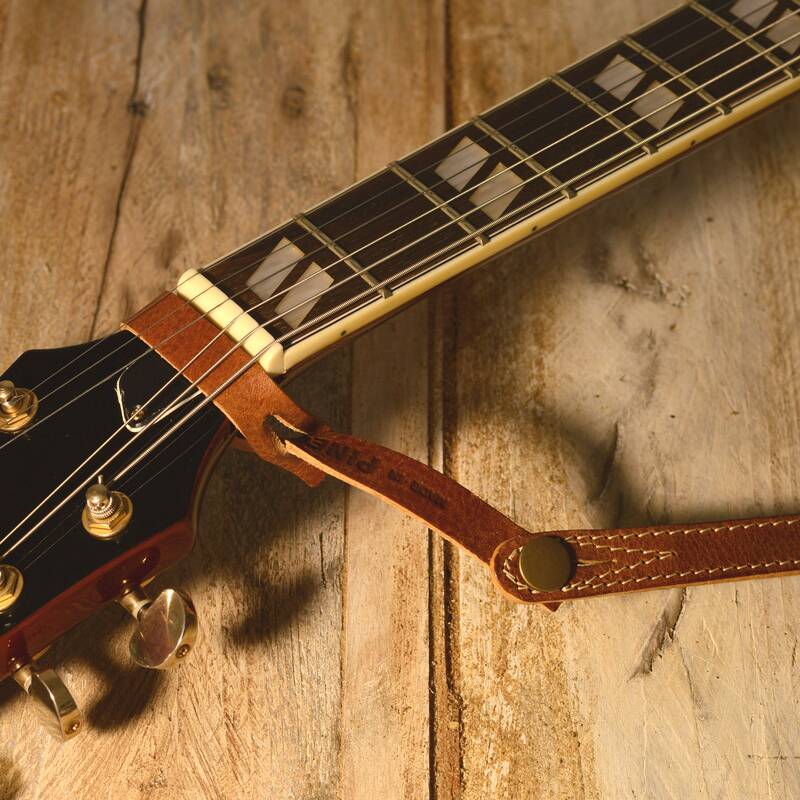 Guitar players often tie a guitar strap to the headstock of a guitar using a bootlace or shoestring. 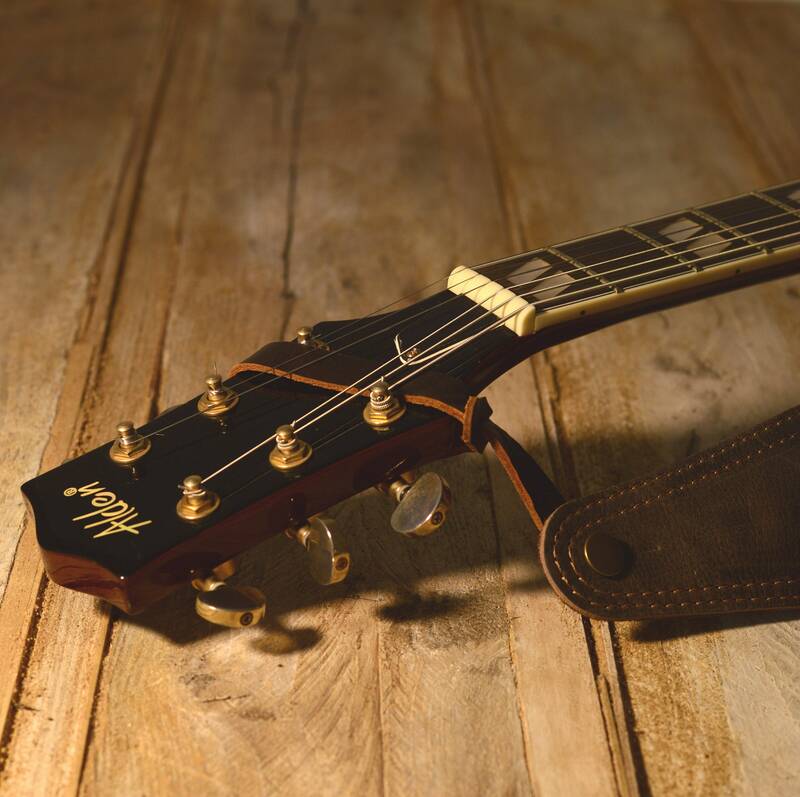 This is a neater device which means you can take your strap off your guitar without having to unpick the knot in the bootlace. 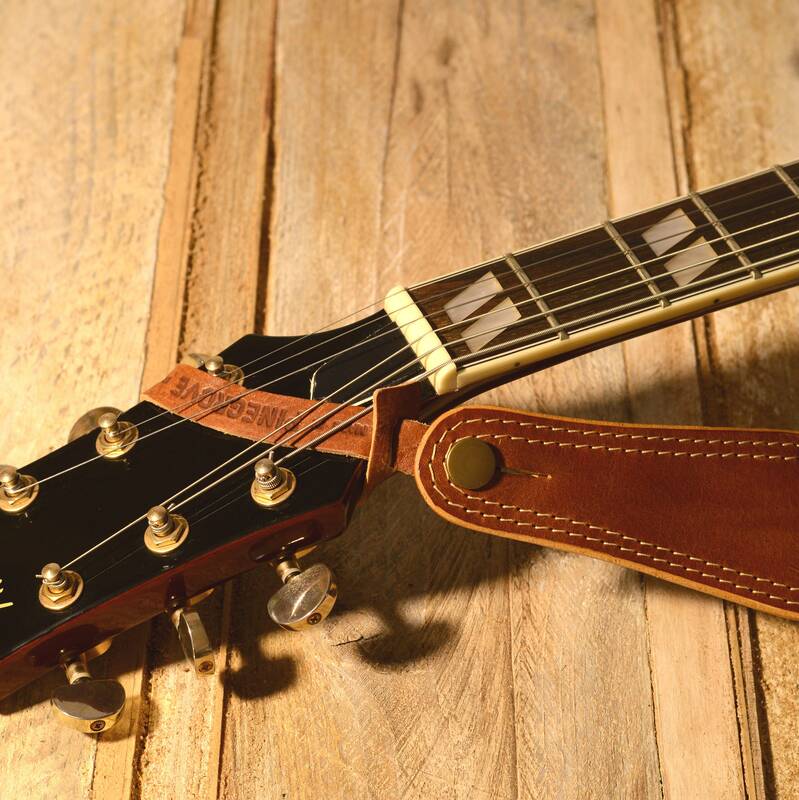 The guitar strap securely fits onto the headstock loop using a metal button. 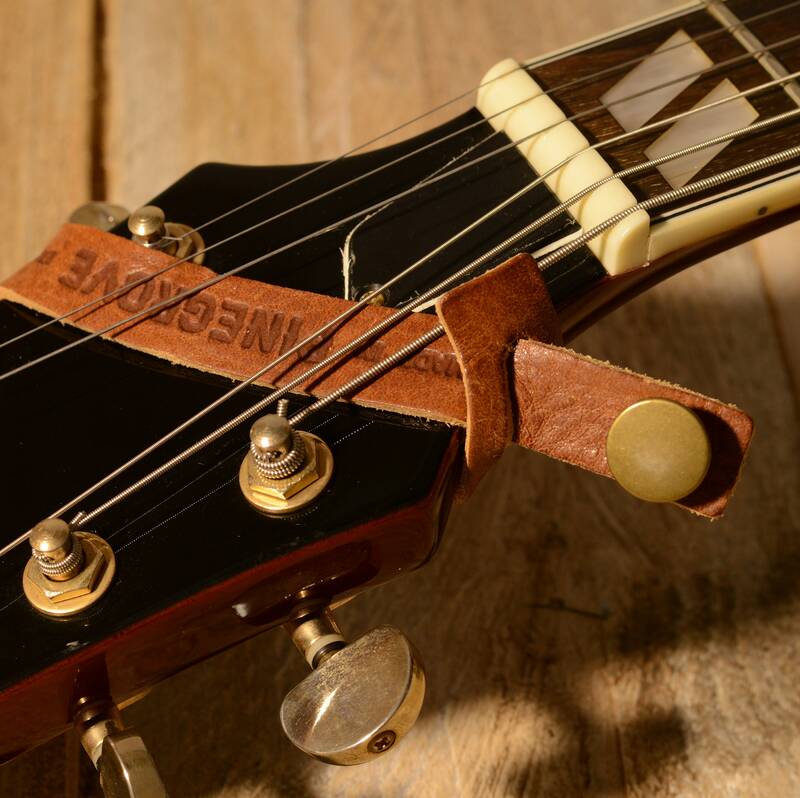 The headstock loop fastens around the headstock and threads through itself, making it really secure. You can loop it just behind the nut or in between the pegs (AKA string posts). When you want to take your guitar strap off, just undo it from the button on the head stock loop. No knots to untie! 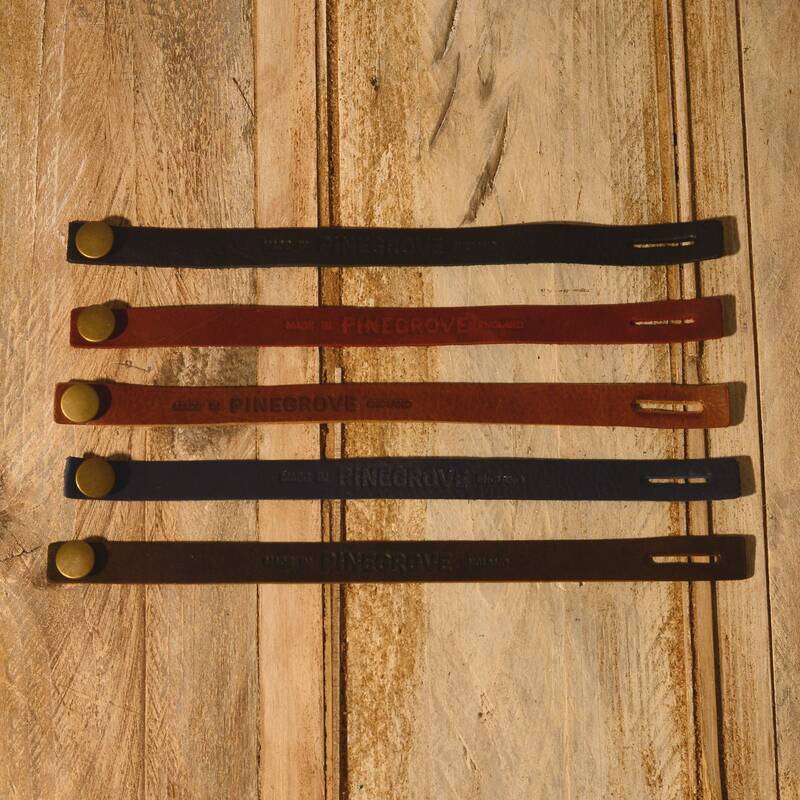 Hand-made in our workshop in England from real high quality leather, the same that we make our fantastic guitar straps from. Available in a range of colours. See the options and choose one for each loop.